What is Salt and Light? Who are we and where are we going? What is the revelation God has revealed to us to pursue together as His family? Everything in the Body of Christ is relational and God’s family is the launching pad for all we do. Our vision, values, and core commitments are important. They are what God has revealed to us to pursue together. We have just released the updated version of our core commitments and values. 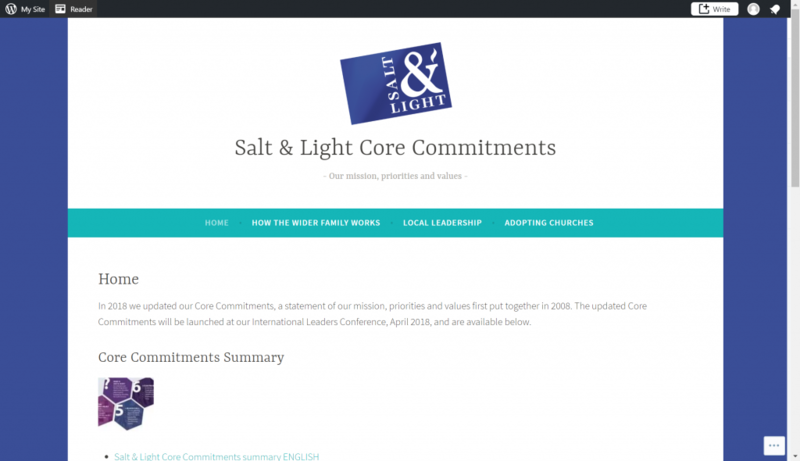 We are very thankful for our Salt and Light family and you can check out the documents here.